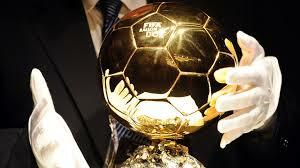 France Football magazine, on Monday, disclosed that women’s Ballon d’Or will be awarded for the first time this year. The magazine also disclosed that it has shortlisted 15 nominees to be named alongside 30 male contenders next month for the global football prize, Reuters reports. The yearly award, which will hold in Paris on December 8, has been a regular feature for men since 1956, with England great, Stanley Matthews winning the inaugural trophy.